Each month, on the Announcements page, we are featuring photos that need identifying. As we add photos, we will move the previous photo to this page. We invite you to visit this page to see photos that have been identified--or to see if you can help with photos that still need identification. Enjoy! 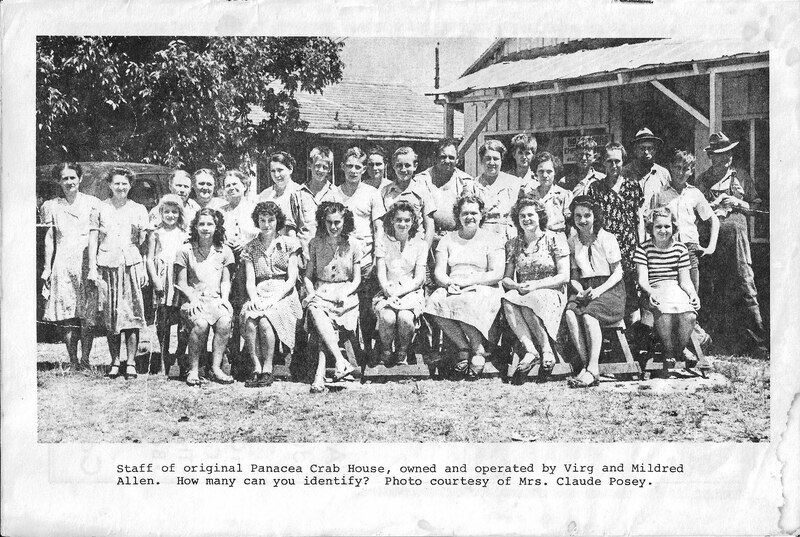 This month we're featuring a photo taken of the original Panacea Crab House staff. Do you recognize any of these folks? If so, send an email to mailbox@wakullahistory.org or post a comment on our Facebook post. We'll fill in the blanks below as we get identifications. The back row is not exactly straight, so we'll say that the two youngest girls frame the first row, then everyone else is considered to be in the back row. Back Row: 1__________, 2. Juanita Revell (Nichols), 3. Mary (Sis) Revell, 4. Jessie Smith, 5. Mae Revell, 6. Katie Whetstone, 7. Cecil Nichols, 8__________, 9__________, 10__________, 11. Virgil Allen, 12. Mildred Allen, 13__________, 14__________, 15__________, 16__________, 17__________, 18. Robert Nichols, 19. Austen Carraway. Front Row: 1__________, 2__________, 3. Jeanette Nichols (Fragakis), 4_________, 5__________, 6_________, 7__________, 8__________, 9. Jean Cruse (Nichols). We have two photos this month! 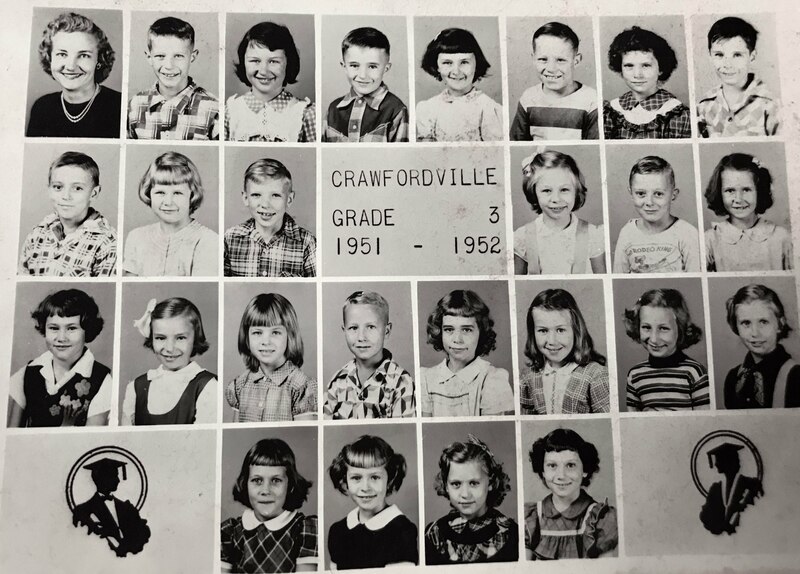 If you recognize any of the faces, please let us know by commenting on the post on Facebook or sending an email to mailbox@wakullahistory.org. 1. __________, 2. __________3. __________, 4. __________, 5.__________. These are in the Green Family notebook at the Museum. Betty Green thinks they may be Rakers. Can you identify the people in these two photos? Any idea of the occasion, place? If so, send an email to mailbox@wakullahistory.org or leave a comment on the post on Facebook.